Holds a Doctorate of Dental Medicine and a Higher Studies Degree in Prosthodontic and Maxillofacial Prosthodontic from Damascus University (Syria). Was a faculty member of Tashreen University of Dental Medicine, teaching Clinical Cosmetic Prosthodontics. Has completed multiple trainings in Dental Implantology, as well as a Fellowship in Implant Prosthetic. 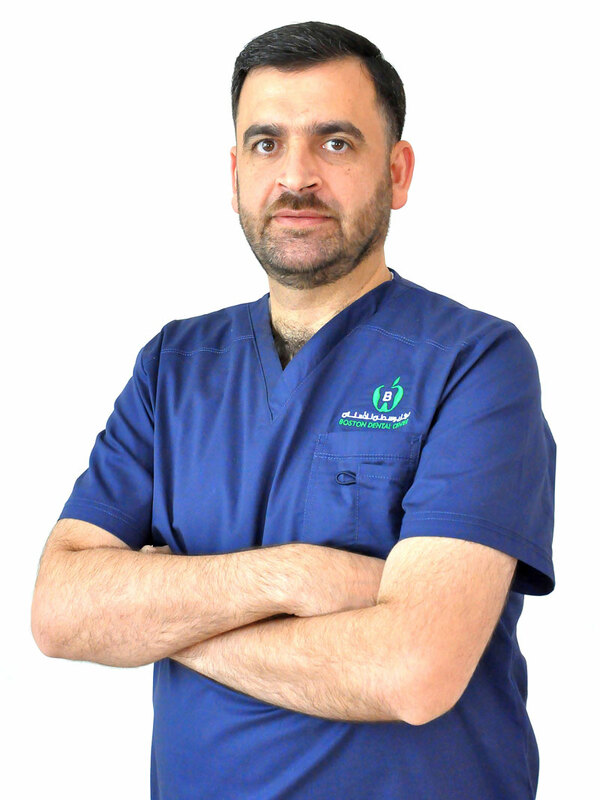 Dr. Al Haj Ahmed has over 21 years of experience working in Saudi Arabia and Dubai, prior to joining Boston Dental Center in 2014, as Medical Director. His special interest includes full/ partial mouth rehabilitation including removable and fixed dentures using natural teeth/ dental implants, Smile Designs, Veneers and Lumineer (certified by Lumineer company).